The year is AD533. Within the last century, the Western Roman Empire has been wiped from the face of the earth. However, the final bastion of Rome’s glory lives on in the Roman Empire of the East; this still formidable power dreams fitfully of regaining its lost grandeur. Emperor Justinian knows there is but one desperate gamble left - an ambitious and dangerous venture to recover what is rightfully his, to reconquer the West before all that Rome once stood for is lost to history. The task is Herculean, with barbarian kingdoms now established and thriving throughout the Mediterranean; there is only one possible man to lead such an expedition. His father’s former bodyguard, hero of the Battle of Dara, and the ruthless suppressor of the Nika riots. Belisarius is the final hope of a dying Empire, the Last of the True Romans. 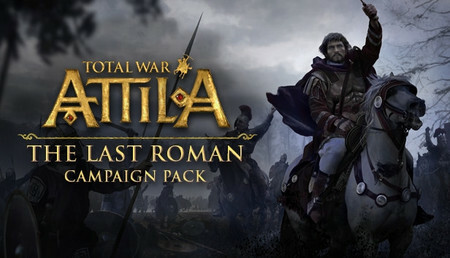 The Last Roman Campaign Pack is an epic expansion for Total War: ATTILA, delivering a narrative, mission-based experience on a new, highly-detailed campaign map of the Mediterranean theatre. 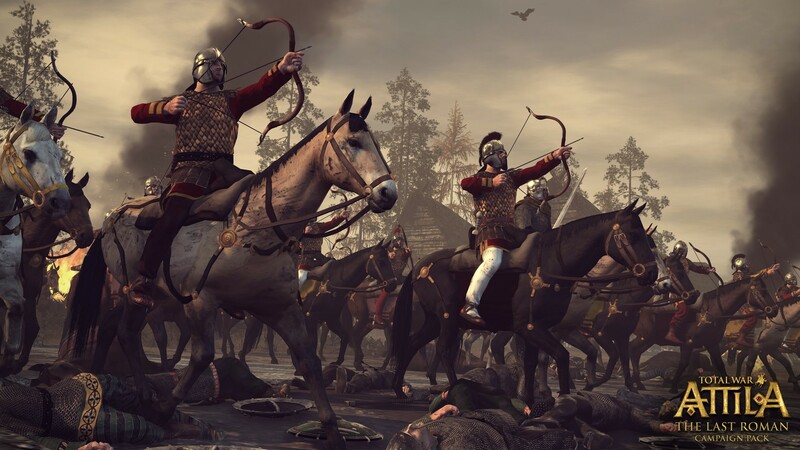 Charging the veteran Total War player with the role of Belisarius and his Roman Expedition, you must reclaim Rome’s lost territories from the savage, hostile forces. The struggle to fulfil your duty as servant of the Emperor Justinian is brought to life by a series of new story events and missions. The Emperor, the Empress and your own wife, Antonina, vie for your attention, demanding arduous and often contradictory services. Completing these tasks will provide you with the men and supplies you need, but offending the wrong person will greatly weaken the fragile Expedition. Alternatively, you might declare independence and attempt to re-establish the Western Roman Empire under your own banner, seeking glory and immortality away from the court at Constantinople. 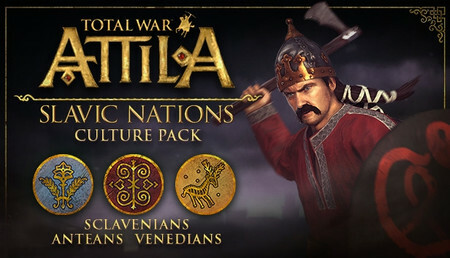 Will you stay loyal to Justinian’s vision of reclaiming Rome from the barbarians? Or will you follow your own path, establishing yourself as a new Emperor in the West? The Last Roman’s Campaign map is a vast and highly-detailed representation of central Western Europe in 533 AD, featuring 35 provinces across over 100 regions, including Italy, North Africa, Spain and France. 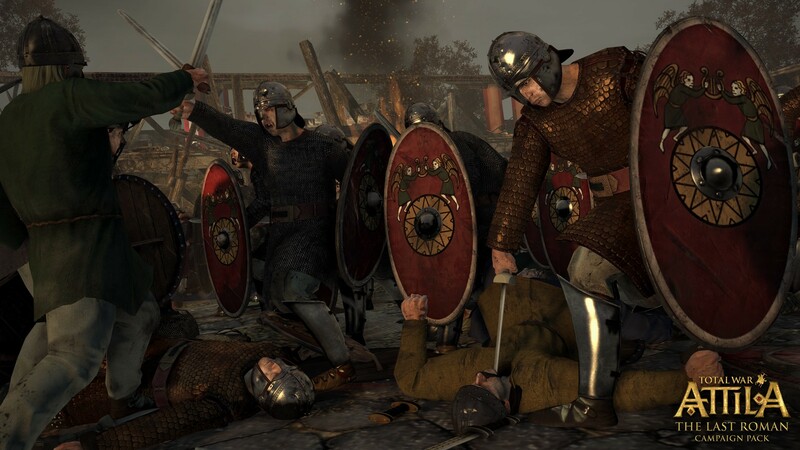 The Last Roman offers five playable factions – the brand new Roman Expedition but also the Ostrogoths, Vandals, Franks and the Visigoths – each one featuring its own faction traits and new campaign starting-position. 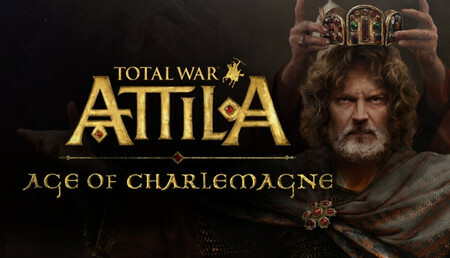 The Vandalic Kingdom is threatened by rebellious Sardinia and the looming Roman danger, while the Ostrogothic Kingdom is hamstrung by its pro-Roman queen and the demands of an unworkable alliance. Both seek to solidify their borders and make the most of Italy’s rich and fertile lands; but Belisarius’ reputation precedes him, and they know a cornered animal will fight to the last. For the Franks and the Visigoths, the return of the Romans presents an opportunity. Both are growing kingdoms, fuelled by youthful vigour and a thirst for conquest. Now, the time is right for them to expand; with the other great powers locked in conflict for control of distant Africa, Europe lies waiting - waiting for a new, greater empire to rise from Rome’s ashes! 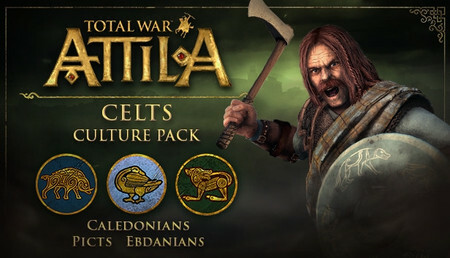 Alongside revisited unit rosters, the primary factions in The Last Roman also feature the following new units. 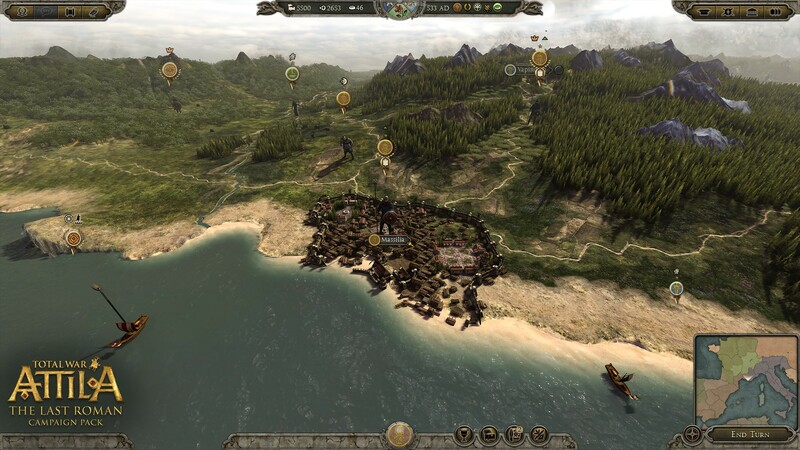 The Last Roman Campaign Pack features many new technologies and buildings. The Roman Expedition displays a heavily modified Roman technology tree containing 20 new technologies and an entirely new Expedition-specific building tree. If independence is declared, the Expedition’s building options revert to traditional Roman styles, better suited to the ambitions of an upstart, usurping Emperor. 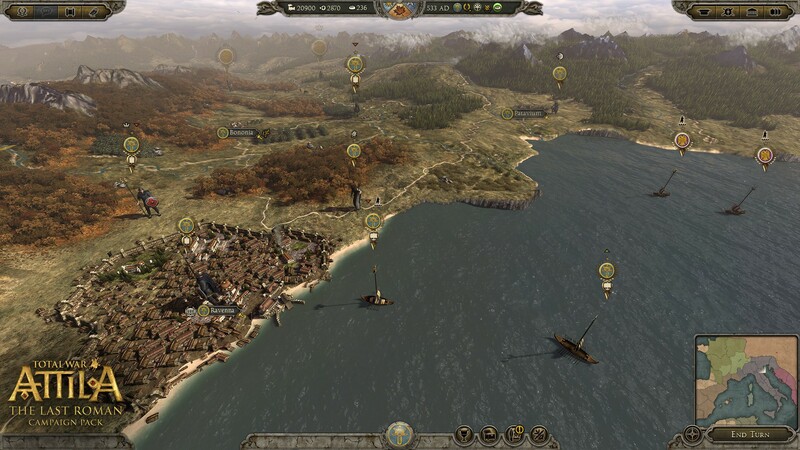 The other playable factions also feature new combinations of Western Roman and Barbarian technologies and buildings. A great game and a great deal. Happy and ready to restore the Roman Empire. 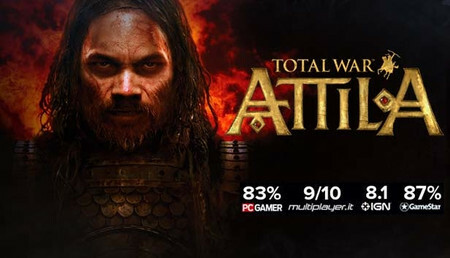 Como total war es más de lo mismo y el juego está bien, pero la política de DLCs ya resulta abusiva. Sacar tres facciones jugables por siete euros y medio cuando las tres suelen ser idénticas entre ellas, me parece forzar mucho. Una buena campaña de este juego. Complicada al principio pero luego va todo sobre ruedas. 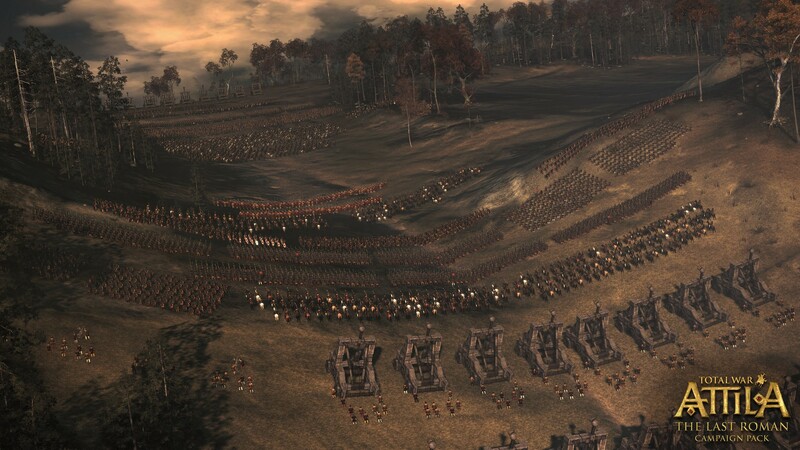 Si el juego ya es bueno en si (como toda la saga Total War). He jugado la campaña de Belisario y esta bastante lograda y se parece a la realidad.